2019 is a general election year in South Africa, with national and provincial elections set to take place, and three important recent announcements have been made in relation to elections in the country. The Electoral Commission of South Africa has announced that a final voter registration weekend will take place over 26 and 27 January. The country’s 22 932 voting stations will open from 08h00 to 17h00 on Saturday 26 January and Sunday 27 January 2019 to allow first-time voters to register and existing voters to update and to check their registration details. Currently there are 26.1 million registered voters on the national common voters’ roll and it is hoped that at least one million voters will be added to the voters’ roll ahead of the 2019 elections. The Electoral Commission is also hopeful that voters who are already registered will use the opportunity to visit their voting station to check their registration and specifically to confirm and update their address details. Registered voters can visit the Electoral Commission website (www.elections.org.za) to check their current registration details and voting station location. They can also SMS their ID number to 32810 to receive an SMS containing their registration status and the address of their voting station (charged at R1). Unregistered voters can insert their address in the Voting Station Finder application on the website (http://maps.elections.org.za/vsfinder/) to find their correct voting station or call the Contact Centre. An online facility (www.elections.org.za/MyIEC) is also available for registered voters with access to the internet to update and review their address online. The Home Affairs Department has called on people who have applied for identity documents (IDs) to collect it, ahead of this weekend’s voter registration. In the Western Cape alone, more than 23,000 people have not collected their IDs. Bellville and Cape Town branches are the highest with over 3,500 uncollected IDs each. The department says it is extending its office hours at some of the offices. Spokesperson Siya Qoza explains, “Our offices will be open from 8 am until 5 pm over the weekend to assist as many people as possible who may need assistance. Our assistance will include handing out IDs and assisting people with temporary IDs so that they can register to vote”. It’s now law for political parties to reveal their private funding annually but it’s unlikely to come into effect before this year’s elections. 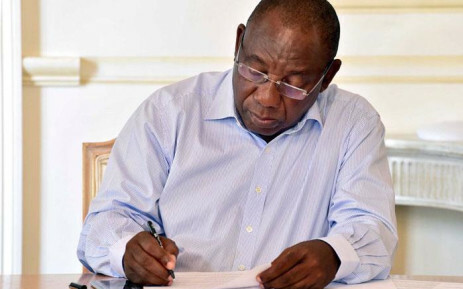 The Presidency confirmed late on Tuesday night that President Cyril Ramaphosa has signed the Political Party Funding Bill into law, which was passed by the National Assembly late last year. But the electoral commission has already indicated to Parliament that it will need at least six months to get the system functional. Lobby group My Vote Counts, which took the matter to court, says that the implementation of the bill will drastically enhance transparency and accountability in the country’s political and electoral system. The new legislation repeals a 1997 Act to better regulate the public and private funding of political parties. It establishes a multi-party democracy fund that will fund all political parties from state coffers. The new law will prohibit certain donations being made directly to political parties and compel them to disclose private donations to the electoral commission. Political parties will not be allowed to accept donations from foreign governments or agencies. The African National Congress (ANC) has welcomed the law, saying it will deepen democracy and usher in a new culture of transparency. But My Vote Counts says that it is however regrettable that the law will not have an impact on this year’s elections and that the electorate will once again go to the polls without this crucial information. The bill follows a June 2018 order by the Western Cape High Court to have Parliament make provision for political parties to publicly disclose private funding within 18 months. Judge Yasmin Meer stressed that there must be transparency about private political party funding. The Democratic Alliance (DA), South Africa’s opposition party, was the only party to oppose the application for the transparency bill. Sources: , , , . Image sources: , . President Cyril Ramaphosa announced on Monday evening that South Africa would host a major investment conference in August or September 2018, which would aim to raise over R1trn in new investments over five years. “The investment conference, which will involve domestic and international investors in equal measure, is not intended merely as a forum to discuss the investment climate,” said Ramaphosa, according to his prepared notes. He was speaking at OR Tambo International Airport, before leaving for a Commonwealth Heads of Government Meeting in London. Ramaphosa said government hopes that the conference would generate at least $100bn – or about R1.2trn -in new investments over the next five years. Ramaphosa also unveiled the names of four ‘special envoys on investment’, who he said would spend the next few months engaging both domestic and foreign investors around economic opportunities in SA. They are former minister of finance Trevor Manuel, former deputy minister of finance Mcebisi Jonas, executive chair of the Afropulse Group Phumzile Langeni, and chair of the Liberty Group and former Standard Bank head Jacko Maree. “They will be travelling to major financial centres in Asia, Middle East, Europe and the Americas to meet with potential investors. A major part of their responsibility will be to seek out investors in other parts of Africa, from Nairobi to Lagos and from Dakar to Cairo,” he said. The president also named businesswoman Trudi Makhaya as his economic adviser. Makhaya holds a number of degrees in business and economics, including from Oxford University and the University of the Witwatersrand. Ramaphosa said that Makhaya would coordinate the work of the four special envoys and organise a series of investment roadshows in preparation for the conference. According to Makhaya’s website, she has served as an adviser and angel investor to a number of companies, and has held non-executive directorships at Vumelana Advisory Fund and MTN South Africa. She has also held management or consulting roles at Deloitte South Africa, Genesis Analytics, AngloGold Ashanti and the Competition Commission. For information as to how Relocation Africa can help you with your Mobility, Immigration, Research, and Remuneration needs, email marketing@relocationafrica.com, or call us on +27 21 763 4240. Sources: Jan Cronje (Fin24) . President Cyril Ramaphosa says the undertaking with Jacob Zuma was signed in good faith and that the former president will personally have to pay back the money if he loses. President Cyril Ramaphosa has defended the government’s undertaking to spend millions on Jacob Zuma’s legal costs in court action over the fraud and corruption charges against him. Ramaphosa told Parliament that Zuma will personally have to pay back the money if he loses. The opposition Democratic Alliance (DA) claims the deal struck with Zuma is unlawful and is gearing for legal action to force the Presidency to recover the R15.3 million that taxpayers have forked out so far. President Ramaphosa says the undertaking with Zuma was signed in good faith. “With regards to the payment of legal costs, in case he loses the case, he would be willing (and) able to pay back the money and of course, if that fails, the government has other legal means to which it can go and recover the money”. Economic Freedom Fighters (EFF) leader Julius Malema says they believe Zuma’s total taxpayer-funded legal bill stands at around R64 million. Ramaphosa says he’s unaware and that the R15.3 million calculated so far relates only to the corruption charges. A fresh legal battle now looms, with the DA set to challenge the legality of the agreement and to seek an order forcing the Presidency to get Zuma to repay the money. Source: EWN . Image source: . 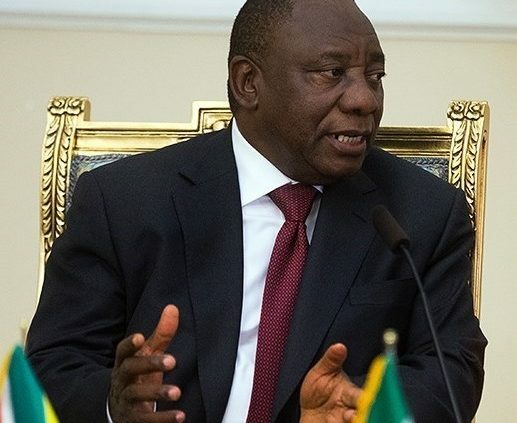 South African President Cyril Ramaphosa announced his cabinet reshuffle during an address at the Union Buildings last night. 10 Ministers have been fired from the cabinet, others have been moved to new positions, and former Mpumalanga Premier David Mabuza has been appointed as Deputy President. Nhlanhla Nene has been appointed as the new Minister of Finance, having served in the role during 2014 and 2015. Another former Finance Minister, Pravin Gordhan, has taken the role of Minister of Public Enterprises. Some Jacob Zuma loyalists, including Bathabile Dlamini, Nomvula Mokonyane, and Malusi Gigaba, and Nkosazana Dlamini-Zuma. Ramaphosa said during his speech last night, “I’ve decided to make certain changes to the composition of the executive of our country. These changes are intended to ensure that national government is better equipped to continue implementing the mandate of this administration and specifically the tasks identified in the State of the National Address. In making these changes, I’ve been very conscious of the need to balance continuity and stability for the need for renewal, economic recovery and accelerated growth in our country”. Sources: , , . Image source: .